When I connect stuff to some of the pins, the Huzzah stops working. Whats up with that? GPIO 2 must be pulled high on power up/reset. GPIO 15 must be pulled low on power up/reset. My Huzzah board keeps crashing and resetting, whats up with that? The most common reason for crashes is power failure. 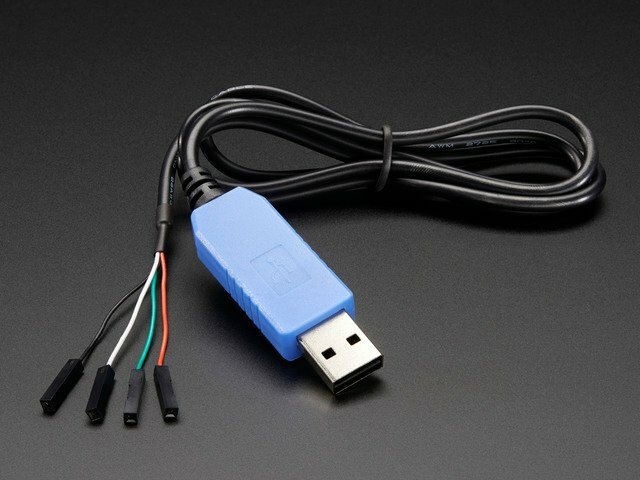 Make sure you're powering the Huzzah with a good ~5V power supply, and if you're using a USB-Serial cable, that it's plugged into the mainboard of your computer or through a powered hub! I can't seem to find the Serial port on my computer for the Feather HUZZAH? Don't forget to install the CP2104 VCP drivers for your computer, they are required! I still can't seem to find the Serial port on my computer for the Feather Huzzah! Many cheap electronics come with charge-only USB cables, which cause headaches later. Make sure you are using a proper data/sync USB cable. If you find a cable that is charge-only (not data/sync also) throw it out so you don't have the same problem again. go to your ~LIbrary folder (in the Finder, select "Go::Go to folder:, and enter ~Library ). 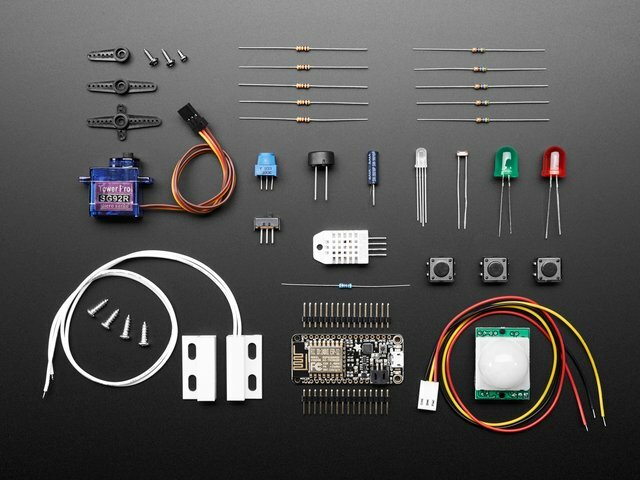 Find the folder Arduino15. 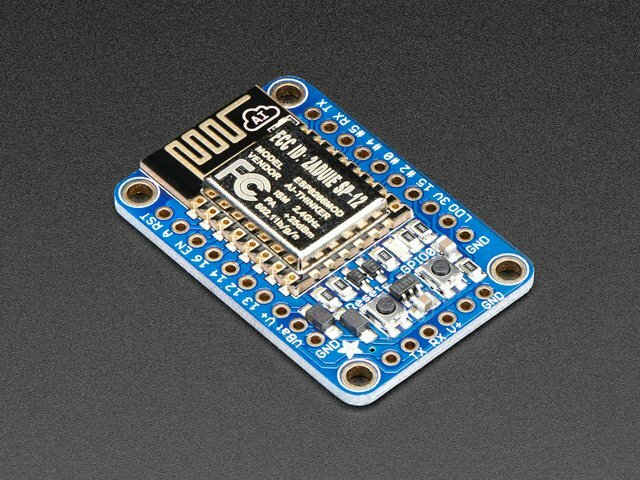 Go back to the Arduino IDE, and install ESP8266 board support. This is the ROM debug messages, it's transmitted at 74880 baud so you rarely see it in proper 'ascii output' - instead usually it gets corrupted into a bunch of strange characters. Sometimes, it helps to switch the board type to "Generic ESP8266 Module". Set the Reset Method to "nodemcu"
You say your led is stuck on dim and you get an error trying to upload? And you're sure your serial cable is connected and working correctly? Well, here's a potential fix: Connect the GPIO0 pin to GND through a 220 ohm resistor. Leave it connected while you upload. You may have to try it a couple of times, but it should eventually upload and get the HUZZAH unstuck from bootload mode! You can then remove the resistor connection, and your HUZZAH will be happy ever after! (Note: you may also have to tie RST and EN (CH_PD) together to get this to work. 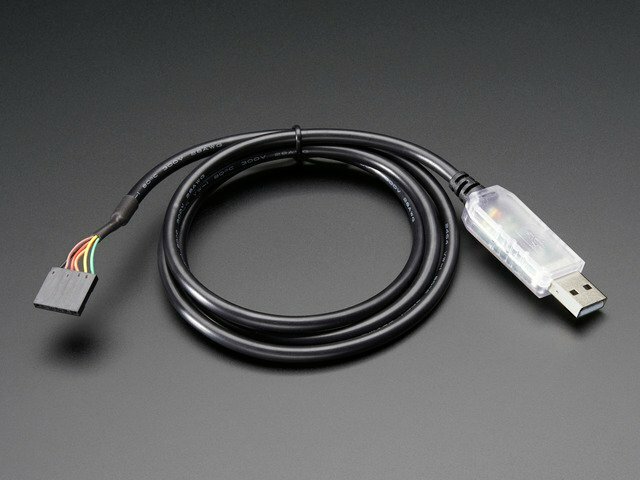 Remove the connection once you have the module programmed). Thanks to forum user misslevania for the tip! Make sure your terminal software is sending correct line endings! The default PuTTY settings may be wrong when trying to talk to Lua on an ESP8266. Lua expects CRLF "\r\n" line endings, and apparently PuTTY defaults to just LF "\n"! This guide was first published on Apr 24, 2015. It was last updated on Apr 24, 2015. This page (ESP8266 F.A.Q.) was last updated on Apr 17, 2019.